If Michigan’s government wanted to send over 200,000,000 gallons of our precious spring water to another part of the country would you be for that? What if that water was coming from a key aquifer that feeds the Muskegon river system? That’s exactly what Nestle would like to do. A current proposal under consideration by the Michigan Department of Environmental Quality (DEQ) is requesting “a large quantity increase” in extraction from the company’s Evart, Michigan facility. In case you’re wondering what a “large quantity” is, Nestle is seeking a nearly 300% increase in the volume of water it extracts (Source: Detroit Free Press). If the Southwest were trying to take our water to alleviate drought, there would be public outrage. But if you want to come in and extract it into 16 ounce bottles – SURE, c’mon in! Oh, and the cost to Nestle for this? Only $200. Yep, you read that right. The DEQ has said studies show that the aquifer can more than support this increase. Although it did so after deciding to overrule the computer model that said that this withdrawal could adversely effect the Muskegon river watershed (Source: Mlive). Not to mention that Nestle’s chief spokesperson, Deb Muchmore is married to Governor Rick Snyder’s former Chief of Staff (who is now a registered lobbyist). Smell funny to you? 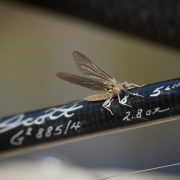 Normally, we stay out of politics here on Mangled Fly, but this one’s important. This is an issue that impacts anyone who fishes or enjoys our rivers. 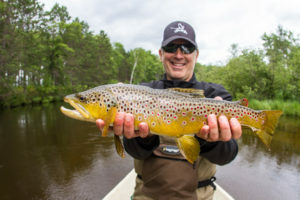 The Muskegon is Michigan’s longest river, and holds trophy steelhead, trout, smallmouth bass, and much more. It’s time we stood up to Nestle, and its insider trading with our State government. And you have a chance to do exactly that. First, please send an e-mail to the Michigan DEQ voicing your opposition to this proposal (details here). E-mail can be addressed to: deq-eh@michigan.gov. Be outraged. Be logical. Be candid. But please take the time to weigh in on this issue. 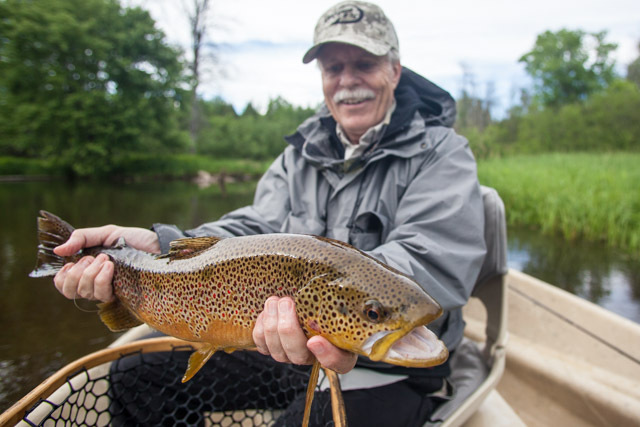 Protect Michigan’s waters, both for today and for future generations. Beyond this, please consider voting with your wallet. Did you know that in 2107 for the first time bottled water consumption is expected to exceed soda consumption? According to Beverage Marketing, via USA Today, in early 2017 this will happen. 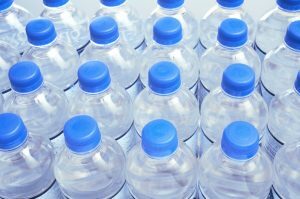 We suggest not buying bottled water from any of Nestle’s 300 brands (complete list here). Beyond that, consider your consumption of any bottled water. Sure, sometimes it’s convenient, but purchasing a water bottle or two and refilling from the tap reduces demand. And, without demand, Nestle will turn its attention elsewhere. I have no affiliation with the people who make a certain product, but I have to say that some of their stuff is brilliant. The product that I am speaking of is ice dub, and between ice dub and the various colors of flashabou, I could guide every day with little else than thread and hook (though I do like some feathers and fur too:)). During the months of January-March, I rely very heavily on one color family of ice dub. The colors are olive, peacock-eye, peacock, and black peacock. These colors seem to imitate the same things to the fish. 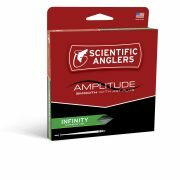 It could be that the sheen on this color scheme is just plain appealing to fish (it is an attractor color). 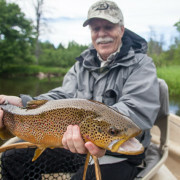 On the other hand, it could be that many of the bait fish in the river take on a peacockish tint during the winter months. When I started looking underwater in the winter, I was surprised at just how many creatures had a bluish/green tint in the winter months. The darter above is just one example of this color scheme in nature during the winter and spring. Crayfish, scuds, gobies, and other fish also have this peacock overtone to their colors. Whether it is just naturally attractive, or whether it is due to the colors occurring in nature, or some combination of the two, I am not entirely certain. At the end of the day, these colors of ice dub just work great for catching predator fish. 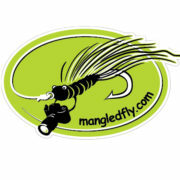 Through the first half of the year, flies with this color scheme can be fished in several different ways. 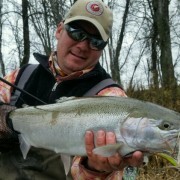 They can be swung on sink tips through flat runs during the winter months for steelhead. 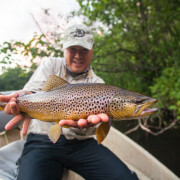 Another option is to fish the soft edges of the stream for resident trout with smaller olive or peacock based flies. 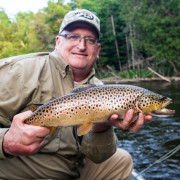 I really enjoy swinging wet flies for trout and this is a great extension of wet fly fishing through the winter months. 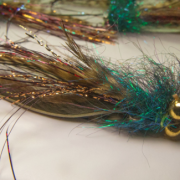 Yet another option is to tie weighted sculpins and fish them below an indicator for trout. 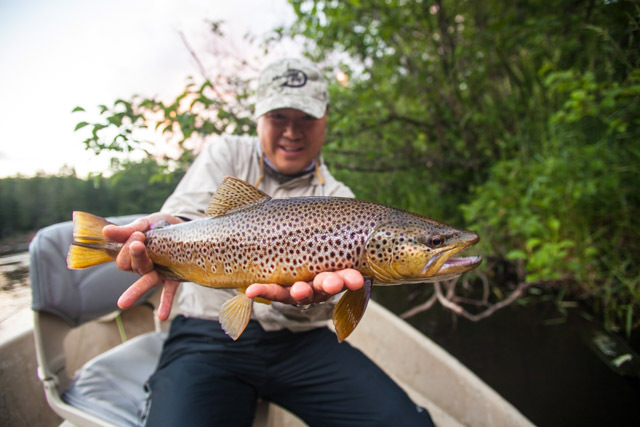 Often times a nymph pattern is fished on a dropper between the indicator and the weighted sculpin. This post mentions the months of January through May. However, as a guide, these colors are in my box year around, no matter what species I am guiding for. 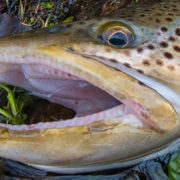 Give this color family a shot on your local stream. I am pretty sure that it will work!